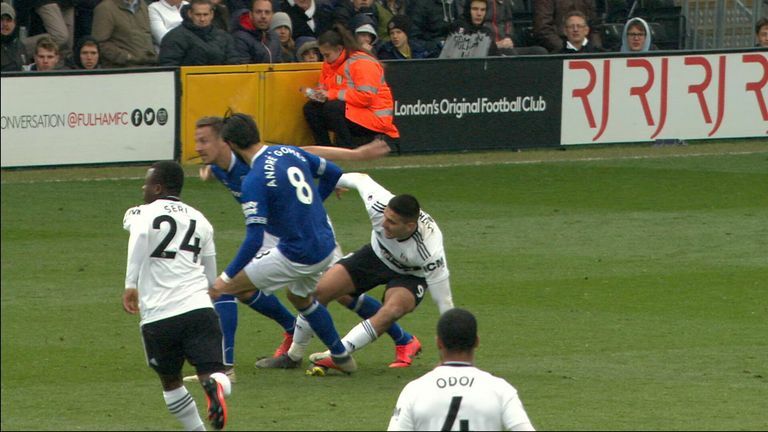 Everton midfielder Andre Gomes has been banned for three games after accepting a charge of violent conduct. The Everton midfielder appeared to stamp on Aleksandar Mitrovic during the final moments of their 2-0 defeat at Fulham last Saturday. The 95th-minute incident was missed by the match officials but was captured on video. Gomes had until 6pm on Tuesday to respond and he has accepted the charge, ruling him out of Everton's Premier League fixtures against Manchester United, Crystal Palace and Burnley. He will be available for the Toffees' final game of the season at Tottenham on May 12. Gomes, who is on loan from Barcelona, has made 28 appearances for Everton this campaign, scoring once.